Whether you want to add extra edge to a femme ‘fit or you’re trying to give off a carefree cool-girl vibe, a moto jacket is the chic, versatile piece every leading lady should own. Keeping reading for more moto-wearing style tips. For a day at the office, get ready to pull a double shift with two styles in one. A white button down and dark wash jeans paired with simple flats is a classic look. 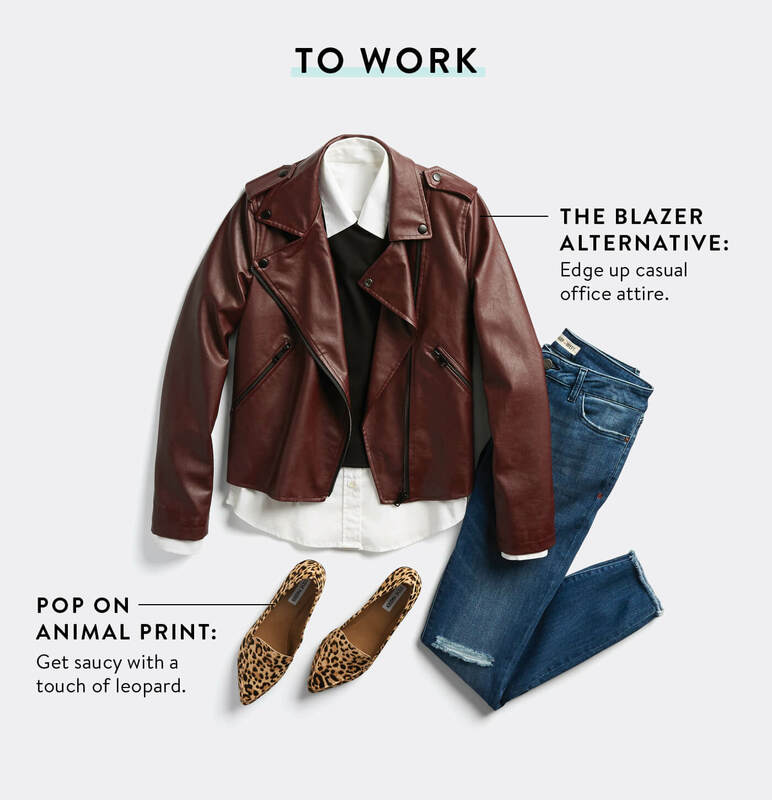 But, if you feel like adding some attitude to your look, (especially in preparation for your morning meeting) add a moto jacket in an unexpected color—like burgundy. Now, you’re the boss. Holiday parties are coming up faster than we can say festive. So, add some spice to your party attire! 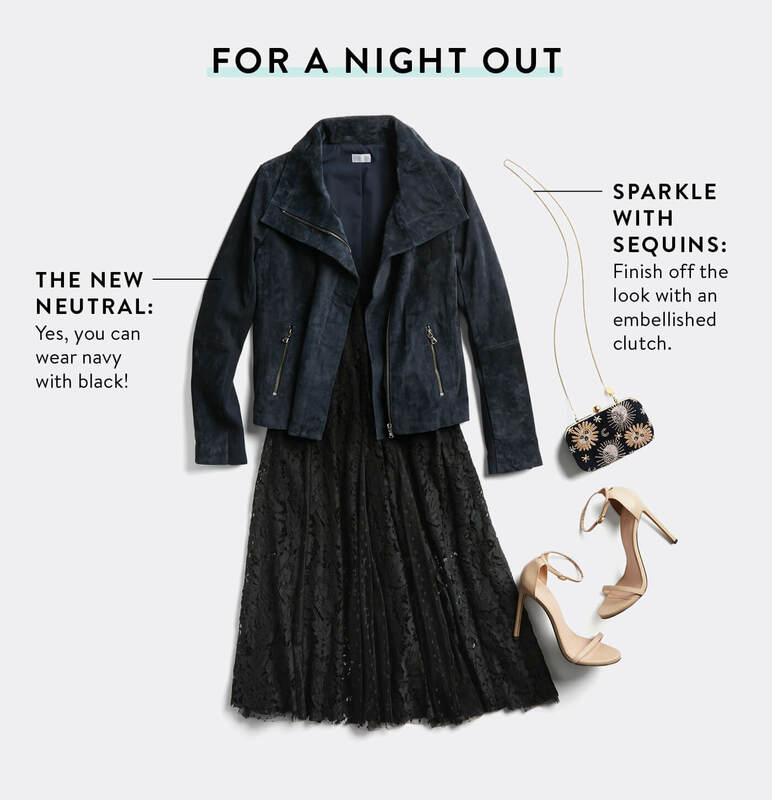 A combination of romantic evening wear (like a midi length dress and strappy sandals) worn with an edgy jacket is the perfect way to freshen up an old school style. The weekends are for relaxing! 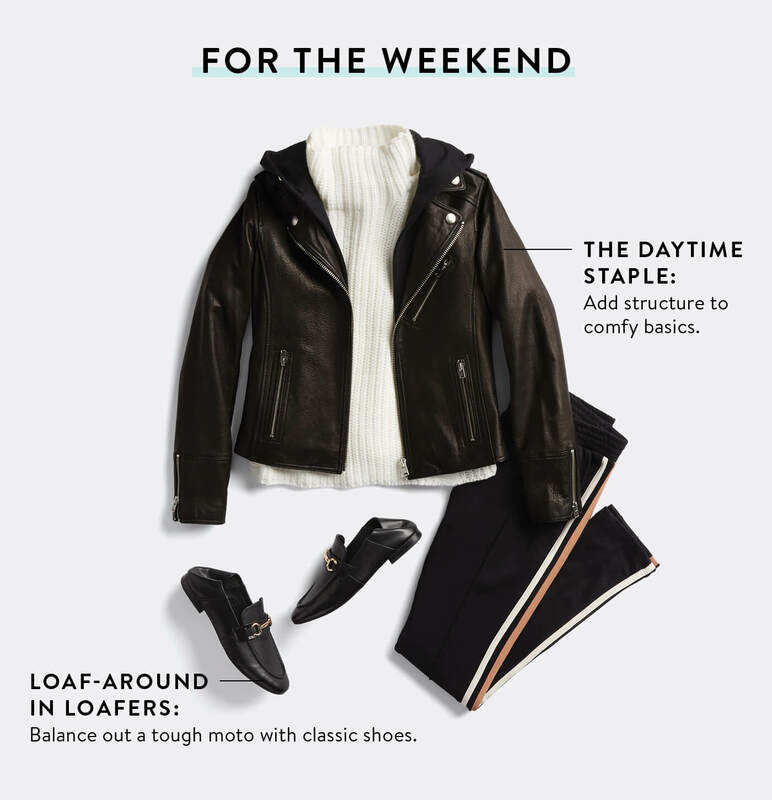 Pull off an effortlessly cool look with weekend-ready athleisure and a classic black moto jacket. Looking for extra style points? Swap out sweats for leggings to achieve an ultra figure-flattering ‘fit for every shape (we mean it). Ready for a moto jacket? Schedule a Fix and let your Stylist know you’re ready to toughen up.